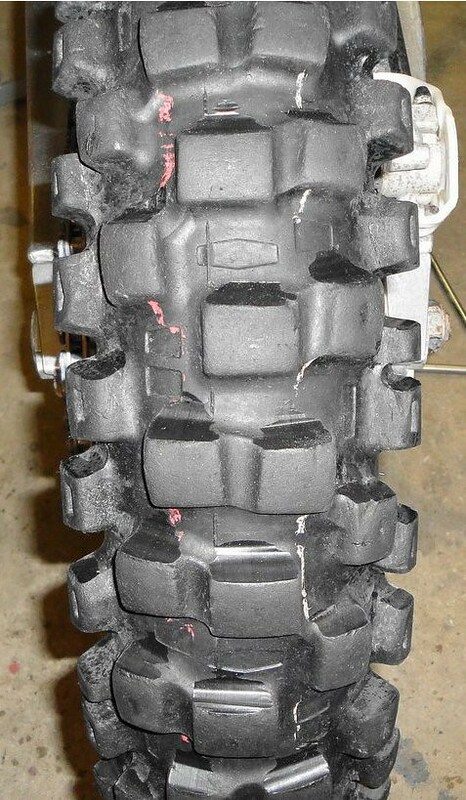 Anyone who rides dirt bikes knows how hard it is to keep fresh rubber on your bike. 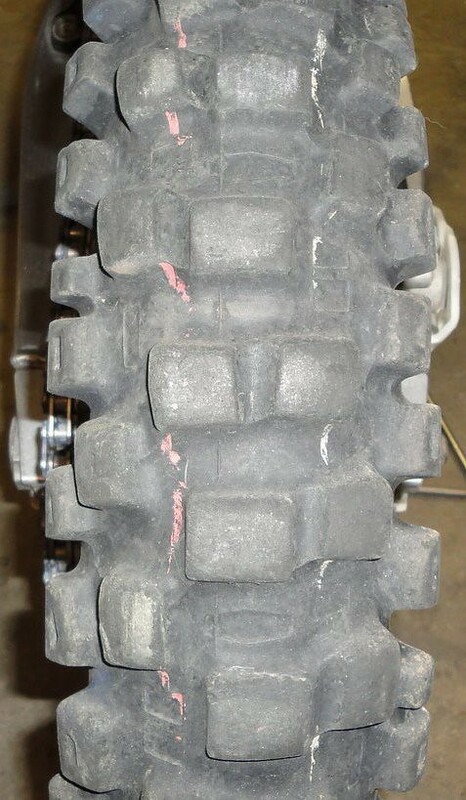 That new tire performance doesn't last very long as the knobs quickly get rounded off. If you have an unlimited budget you just replace the tire, but unless you also have an exclusive mechanic, you have the chore of replacing that tire. Those of us in the real world don't have an unlimited budget, and of course most of us are our own mechanics as well. 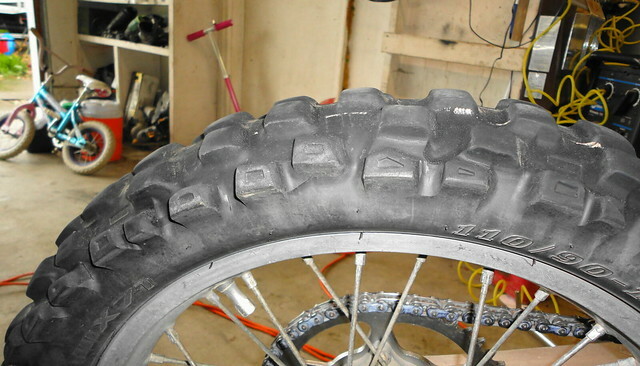 If you're anything like me you want to get the most life and performance possible from your tires, at around $70 each for a rear tire, it's necessary. You can just do what I've always done, which is enjoy the fresh tire while you can, then make due till you can justify the purchase. This works ok, but for a small price and just a little effort, there may be a better solution. 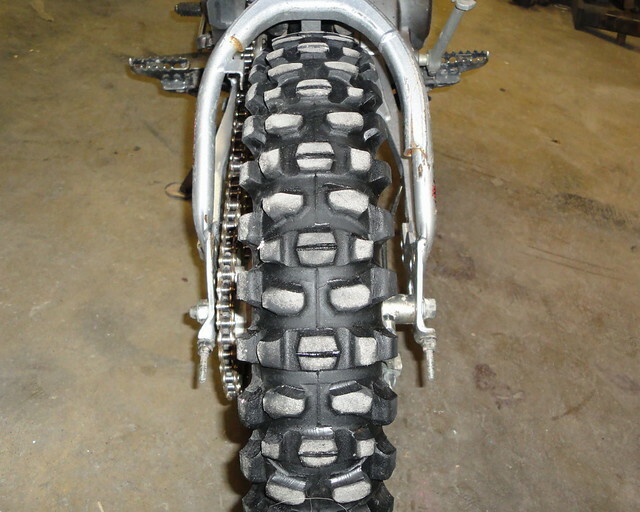 The Knobby Knife is designed to remove just a tiny bit of rubber on the front of each knob to put some bite back into the tire. I was surprised how easy it was to use after the initial 10 minute warm up. It didn't smoke or melt the rubber or cut to quickly like I thought it might. I worried about cutting too deep or ruining my tire, but you can put the knife on the knob and position where you want it without doing any cutting, then with just a little force press down and it cuts through like butter. I took off just a sliver from each knob and it was so easy I think my only hold up was that I wanted to keep cutting! Obviously if you are really happy with round knobs then you could probably ride around for longer on the same tire without trimming them, but if you are unhappy with it and end up either putting up with it or throwing away a half used tire then keep reading because this tool could actually end up saving you money and some of the hassle of changing tires while still maintaining a relatively high performance. Here's a side by side comparison, before and after. 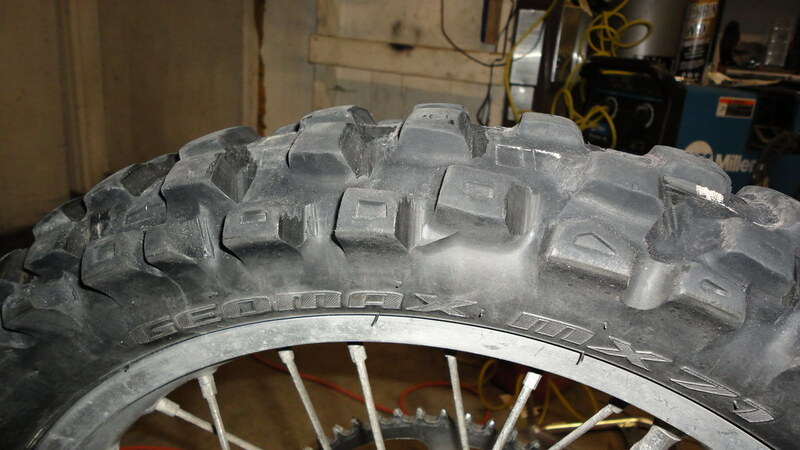 This is a fairly old Dunlop MX71. I am sure the tire will need to be replaced before I run out of cutting room. 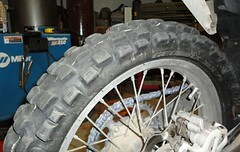 This tire seems to be a good candidate however because of the bigger knobs and less space between. Take 2! Here's the same tire after about 25 hours of additional riding. 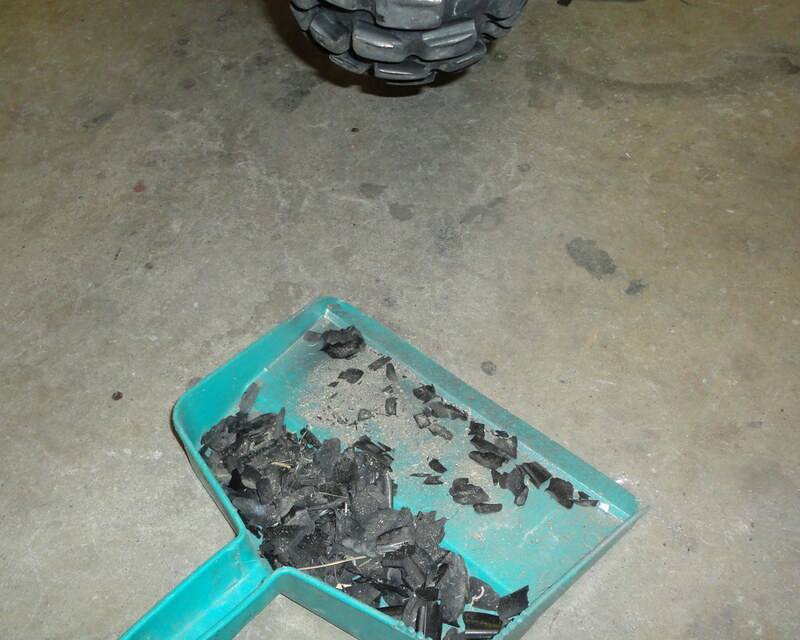 The tire definitely had more bite after touching it up with the knobby knife and the edges lasted surprisingly long. Of course after 25 hours I was back to the old rounded edges and a little less knob height, so it was time to bust out the knobby knife once more. It's definitely not a new tire, but this tire was ready to go in the trash. It now has a new lease on life. The knob height doesn't seem to be wearing out any faster than normal and with the big knobs on the MX71 there's plenty to trim in width. For a rider on a budget like most of us are, this will extend the funds a bit with each tire. 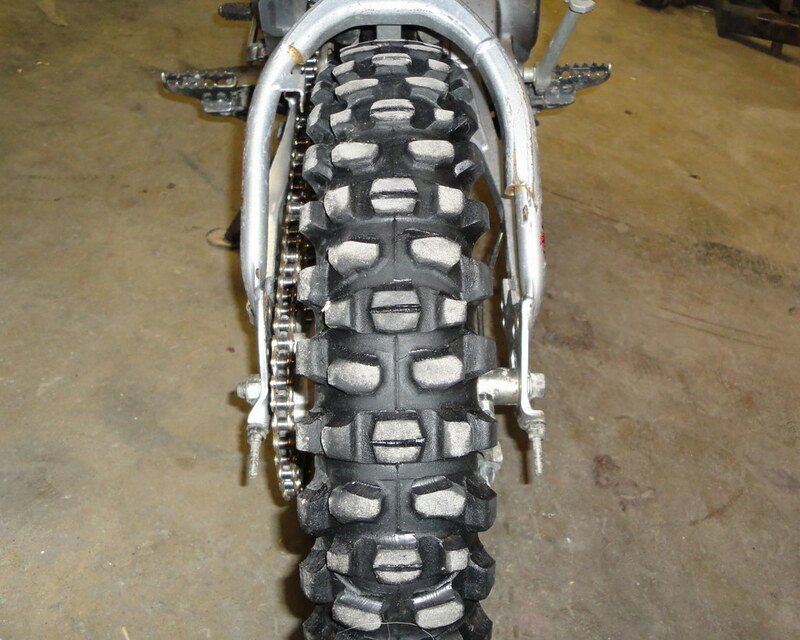 This time I had to cut more straight down and take more rubber off the base of the knobs, but it was still very easy to do and it's ready to hit the trail again. Nice write-up on this tool Tony! I can't believe that MX71 is still going...you put on more miles and hours on a tire than I ever could hope for and this thing is still going - you have made me a believer more in the tire than the tool! No doubt, it's a tough tire! 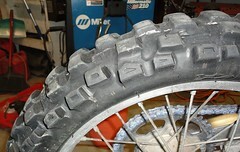 I'm gunna need a new one soon though...this tire will be a year old in August! How many more miles/hours out of the 2nd trimming? 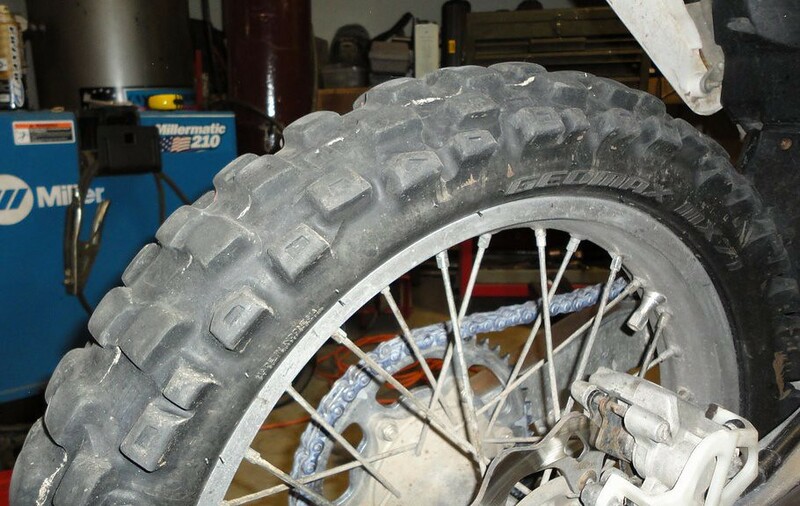 Depends of course on the tire compound, riding terrain etc., but I think I got about 10 hours riding on this tire before I wanted to touch it up again. I've had tires only last about 20 to 40 hours total without trimming. I'm sticking with the mx71.